Here at Custom Made Golf Events, we specialize in custom golf accessories for your tournament, event or as a gift for any golfer. 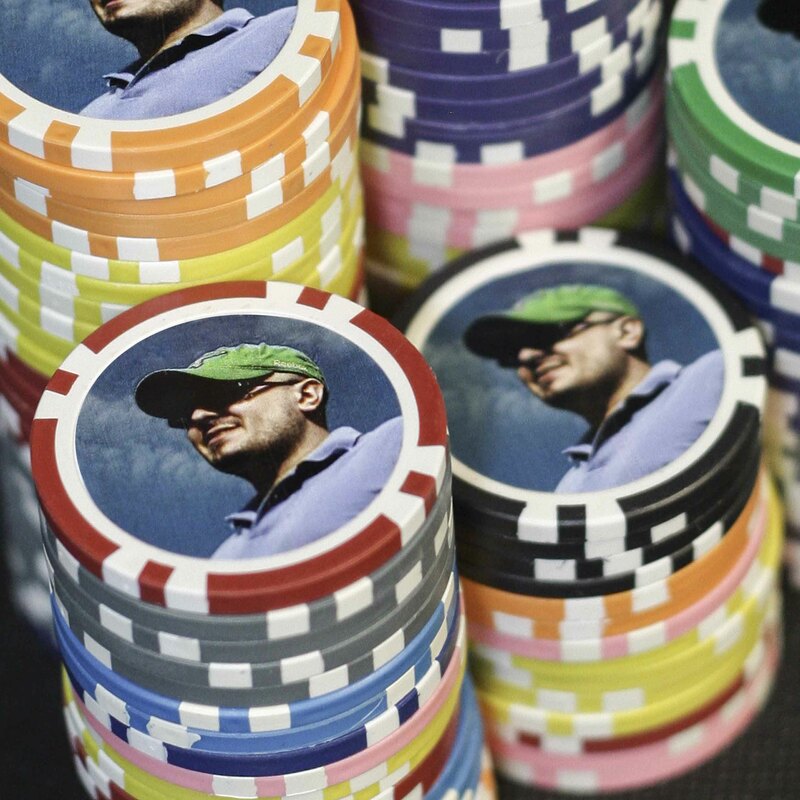 Poker Chip Ball Markers have become incredibly popular the last five years on the course. With the ability to customize each marker with your photo, logo, text or design in full color, this is a great promotional item to use at your outing. 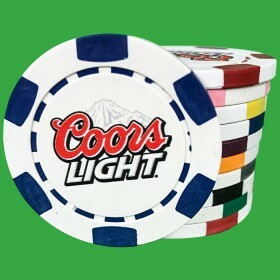 We offer three custom poker chip markers. Our 8 Stripe is our most popular due to its design and large imprint area. Our 6 stripe deluxe is more unique but still has a great professional look and feel like the 8 stripe. In addition, we offer our "3D" option which is where we print a golf ball underneath your logo which gives an appearance of a 3d golf ball. Whichever look you prefer, all are high quality ball markers with the abiliity to full customize with your logo. Once you select your chip, you can now use our interactive design tool to instantly create your golf markers. If you need some help, just hit the free virtual proof button and our team of professioanl designers will put a proof together for you. Once you approve, your order will ship out in 5 business days. We also offer rush production where you can have these shipped in as soon as 1 business day! All of our chips are produced in America in our New York Plant. In addition to being used as markers, there are many uses for customized chips. 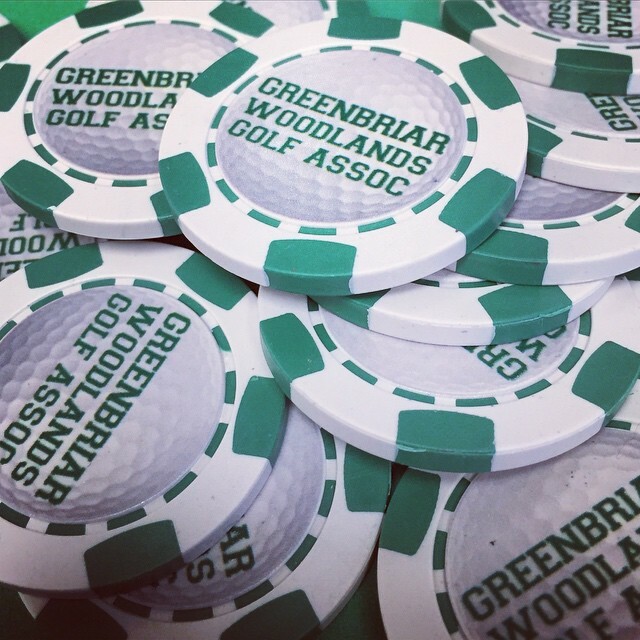 Whether as a business promotion, personalized wedding favor, discount token, free drink chip or a variety of uses, the list is endless of ways you can use these aside from being on the course. CMGE has an advantage over other golf companies. 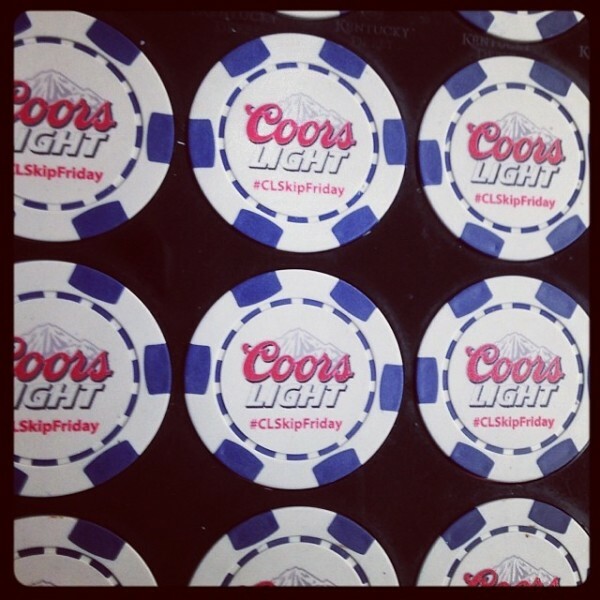 Our sister company, Custom Made Casino, is the leading company in Custom Poker Chips . 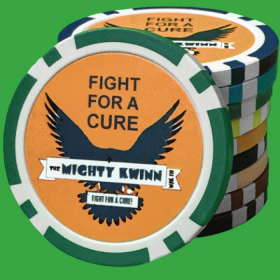 Together, we specialize in high quality poker chip ball makers. 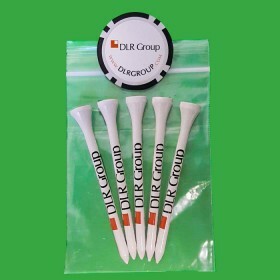 In addition to these, you can also add in a polypag with custom golf tees for the perfect golf giveaway. We also offer custom golf balls from all the top brands used on the PGA Tour such as Titleist, Callaway, TaylorMade, Bridgestone and others. Let CMGE help take your event to the next level. Customize your poker chip golf ball markers and custom logo golf balls today at Custom Made Golf Events!